The UC Botanical Garden has one of the most diverse plant collections in the world. Visit at our Docent-led interactive Discovery Station to learn more about a particular plant topic. Theme to be announced. Co-Sponsored by the Career Center, Eta Kappa Nu (HKN), and the Department of Electrical Engineering & Compute Sciences. If you're an EECS or CS student or have skills suitable to technical and computer science related positions, this is the fair for you! Companies will be there to talk about full-time jobs and summer internships! Our group uses aspects of biophysical and materials chemistry to create new systems that permit biomolecular analytes and rare cells to be tracked and profiled. Nanomaterials play a central role in these efforts, as the unique properties of materials engineered at the nanoscale allow previously unreachable levels of sensitivity and specificity to be realized. Are you interested in learning how to create Wikipedia as classroom assignments? The AC Center and the Wiki Education Foundation Educators invite you to join us as we discuss how to build Wikipedia assignments into your courses and discover some of the new tools, which support and enhance teaching with Wikipedia. This talk presents overview of changes in research support and several examples that demonstrate how research computing technologies are being applied to archaeological research on campus. An informal discussion of background material for the research talk. Join the OASIS Initiative (Organizing to Advance Solutions in the Sahel) for a talk given by two of the leading champions for girls' education and family planning in West Africa. Dr. Mardhiyyah Abbas Mashi and Margaret Bolaji will be sharing more about their work in Nigeria and what more can be done to achieve development goals in the region. Please join us for our Annual Reception! Come meet the Center Staff and find out about our upcoming events. Many paths, many passions and many identities. All undergraduate, graduate and professional school students, academic appointees and staff welcome! "We welcome all who experience life through the lens of woman in body, spirit, identity - past, present, future, and fluid." The Global Urban Humanities Initiative, Department of History, and the Arts Research Center are pleased to welcome Alison Isenberg, Professor of History and Co-Director of the Princeton Mellon Initiative in Architecture, Urbanism, & the Humanities. She will present her new book titled, Designing San Francisco. Registration info: http://globalurbanhumanities.berkeley.edu/events/alison-isenberg-princeton-mellon-initiative-colloquium-talk. Registration opens August 1. Register online or by calling Tina Novero at 510-664-4077, or by emailing Tina Novero at globalurbanhumanities@berkeley.edu by September 6. 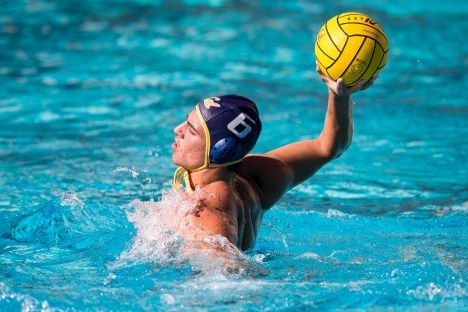 Cal Men's Water Polo hosts UC Davis at Spieker Aquatics Complex. Quantcast  Tech Talk: Your Future in Big Data starts with a Small Hello! We're taking resumes and there'll be Chipotle served! Come to our tech talk event to learn how we uses AI, Big Data & Machine Learning to influence human behavior. You will get the opportunity to hear first-hand from our senior tech leaders at Quantcast. WED, SEPT 6, 6:30pm. Frieda Escobedo is the fall 2017 Howard A. Friedman Visiting Professor of Practice in Architecture. Local author Cedar Sigo performs a reading among altars, colored lights, and descending tones. Voicehandler (Jacob Heule and Danishta Rivero) play intuitive, incantatory music grounded in the human voice and percussion, but juxtaposed with contemporary, disembodied electronics. And New Yorkbased performance artist Frank Haines brings us his trademark magical musical montage.